Located on Main Street, across from the East Point MARTA train station, the Law Office of Glen E. Ashman has been in East Point since 1980 and moved to Downtown East Point in 2005. The owner, Glen E. Ashman, chose East Point because he felt that the South Metro area had an unfilled need for good legal services at a reasonable fee. “I focus on the personal legal problems many people encounter, such as divorce, family law, adoptions, bankruptcy and related debt problems, wills and probate matters, powers of attorney, and accident/personal injury matters”, says Ashman.“Almost everyone needs to deal with one or more such matters during their lives. I focus on providing quality personal service and affordable fees, generally far less than downtown Atlanta law firms”. 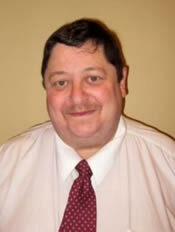 With 31 years experience in the area, Glen Ashman has served and knows many local residents personally. He welcomes and serves clients from all across North Georgia. “Almost everyone needs to deal with one or more such (legal) matters during their lives. 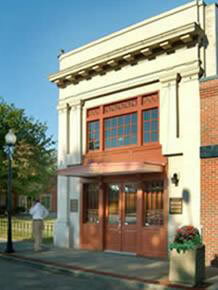 I focus on providing quality personal service and affordable fees, generally far less than downtown Atlanta law firms”. Glen Ashman has devoted much time to public service. For almost two decades he has been an annual participant in the Legal Aid pro bono project helping provide free legal services to those in need. Since 1988 he has served as one of East Point’s City Judges. He is called upon by the State to teach fellow judges and authors the Benchbook used by every Municipal Judge in Georgia. He also participates in various local festivals and events. A little know fact is that Glen Ashman’s location, a beautifully restored building, was once the Bank of Fulton County in 1909. 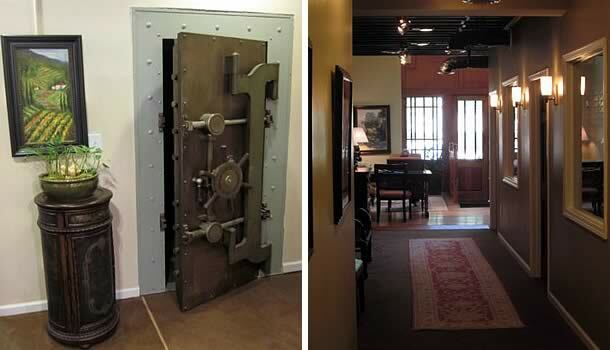 The bank vault was left during the renovation to remind visitors of the history of the building. Special Activities: Receive 10% off any legal fee for anyone bringing in a copy of this article before 12/01/2011!